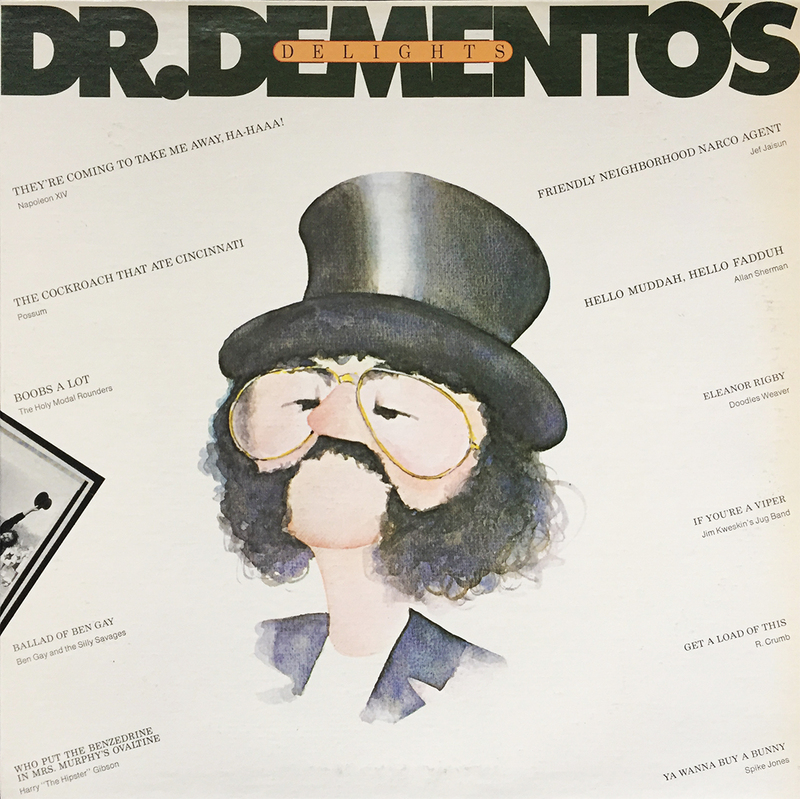 It’s hard not to get into the delightful goofiness of Dr. Demento’s 1975 comp, Dr. Demento’s Delights. Though missing the insta-classic Fish Heads (by Barnes & Barnes, 1980), this 12-track soundtrack to extreme lunacy features a few essentials in They’re Coming to Take Me Away, Ha-Haaa! (Napoleon XIV), Friendly Neighborhood Narco Agent (Jef Jaisun), and Hello Muddah, Hello Fadduh (Allan Sherman). It’s pretty solid smirk-music, and perfect for a day like this.